Ready to grow your business? 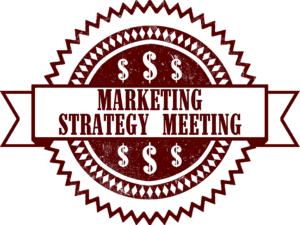 Schedule Your Marketing Strategy Meeting! We are experts at helping brick-and-mortar and service area businesses throughout the United States get more customers. Since 2009, we have helped over 300 businesses increase their sales through our proven local business digital marketing process. Exclusivity - we are accepting a limited # of customers per geographic service area. Contact us to see if you qualify for our Exclusive Wild Frontier Plan. Let’s brainstorm how you can grow your business in your FREE Marketing Strategy Meeting - a 30-minute phone conversation with a digital marketing expert all about your business, your goals, and your strategy. Call (303) 544-2125 or click the Schedule button. Schedule Your Marketing Strategy Meeting Now! Get FOUND by your best customers! Drive MORE customers to your local business! Generate MORE traffic to your website! Turn your website visitors into MORE leads + sales! Spend more time on your business and less time worrying about marketing! We take an integrated, analytical, and creative approach to help you get new customers through video production, mobile web design, search engine optimization (SEO), social media marketing, email marketing, and more. This ain’t our first rodeo! Get found by more local customers with our proven local SEO process which we’ve mastered over the last eight years. Not only do we produce great videos to help people better understand your business, but our SEO team will optimize that video of yours for sites like YouTube and Google to get more eyes on it. We also help you get that video on your website, in email marketing, and in social media. We also like to roll up our sleeves and help businesses with corporate training videos. There’s more to getting found online than simply having a website. Our web designers take an integrated, analytical, and creative approach to help you get new customers through video production, search engine optimization (SEO), social media marketing, email marketing, and more. Contact Ramblin Jackson today to schedule your FREE Million Dollar Marketing Meeting and learn how we can help your business grow!